Have you had, or currently have, issues with ovarian cysts? Problems from ovarian cysts can be very serious from infections to experiencing difficulties becoming pregnant to living life in a lot of pain regularly. I’ve posted about this before, but the responses and questions from women dealing with ovarian cysts keep coming up so I felt it important to address again. The following is my personal story dealing with ovarian cysts, what I did to help resolve my pain and get pregnant again. This post contains some affiliate links: All links are the exact brands that I used as natural remedies! At one point in my life, I was in so much pain that I often felt the breath knocked out of me or just often left short winded. My abdominal area was bloated and immensely swollen on one side. Soon after all this pain I had a miscarriage, which was a great surprise as I didn’t even know I was pregnant. My doctor, at that time,gave me the devastating news that I had some alarming ovarian cysts and that had probably been the cause for my miscarriage. Next thing I know, my doctor is talking about surgery and maybe not being able to have any more children and other crazy talk that took me by surprise. I was given a window of opportunity, approximately 3-4 weeks or until my next period, to see if the current ovarian cysts would go away or I would need to have surgery. I had one cyst that was nearly the size of a coconut, no wonder I was in so much pain! Not only is surgery a financial strain to many, surgeries themselves pose risks and take recovery time. I personally prefer to try healthy preventative alternatives when possible. However, I also believe that when natural remedies are not working to treat something then surgery or medical intervention is needed. Always let your doctor know of any natural remedies you are doing and take the advice of educated and trained doctors who can better judge your condition in the end. You can always get a second or third opinion, maybe even through a naturopath. My doctor was pretty sure surgery would be needed but was absolutely open to me trying some natural remedies first. To find natural remedies for getting rid of cysts, I spent numerous hours researching and reading. The first 3 pages of Google search were consumed with natural remedies from published books but I had a hard time finding facts or success stories from those who had read these books or from other resources. Knowing that many countries outside the United States are educated more in natural remedies, I started searching through hundreds of international Google domains. Slowly, I pieced together what information I did find and tested via me and my body. I don’t have many resources to link as everything was mostly found through international message boards so my only evidence based facts is through my own personal story. Apple Cider Vinegar (1/2 a glass with a shot of molasses) The are so many health benefits of adding Apple Cider Vinegar to one’s diet!! Shepherd’s purse (I didn’t find this so I didn’t try it but it was recommended for cysts) I found this Shepherd’s purse online and plan on adding it into my current regime. Flax seed; Flax seed Oil** I really love flax seed and use it daily in my diet and the diet for my children. Here is another post I wrote about Flax seed. Everynight for 1-3 hours while lying in bed, after my toddler was down, and while reading a book, I would apply warm castor oil compresses. I don’t know how much success it added, if any, to the removal of my cysts, but it seemed to help relieve some of my pain! Not only are these compresses good to try if you have a cyst but for monthly preventative care of the ovaries, compresses stimulate circulation and healing within ovaries. Castor Oil is great but other essential oils such as lavender, rosemary or chamomile can also be used. You can buy ready made disposable castor oil compresses, but I made my own. To make your own: Soak a piece of wool (or flannel but wool was what was always suggested) in castor oil. Place it over your abdomen or where cyst/pain is located. You may want to place a piece of plastic on top of that to prevent the oil from staining your clothes. I learned that the hard way. On top of the towel, apply heat via a heating pad or water bottle or you can do a cold compress via bags of ice covered with towels. I personally preferred the heat. Do this daily for at least 1 hour. I’ve read and was told to also relax for 1-2 hours after doing this which is why I always did it at bedtime. Do NOT do this if you think you might be pregnant or you are trying to conceive! Contains substances such as phytohormones (hormones produced by plants) which help balance estrogen in your body and or help balance the right proportion of estrogen to progesterone in your body. Flax can be added to yogurts, all casseroles, vegetables, fruits, salads, just about anything you are eating.”Can You Say Flax” talks more about the importance of flax seed, and the how and why of adding it to the diet of your children. This herb has many benefits such as assisting the body in increasing the production of progesterone but has no hormonal effect. A recommended 1,000mg of Maca is recommended daily to help balance progesterone, regulate menstrual cycles, help reduce ovarian cysts and shrinks overgrowth of tissues such as endometrium, fibroids, cysts in breasts and ovaries for women who respond to hormonal stimulation. Maca also helps with increasing your memory, your mood and your energy levels. 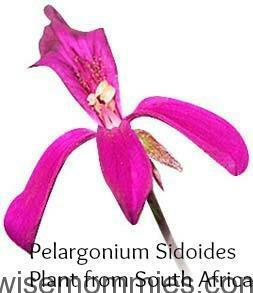 It is very similar stimulant like caffeine or Ginseng. Personally, for two weeks I supplemented Maca when I stopped drinking my 2-3 cups of coffee to prevent withdraw.. I actually felt more energized from the Maca then I ever did from the coffee. Do NOT take this if you are trying to conceive or think you might be pregnant! All the other supplements I took via food recipes that I came up with such as my curry cauliflower and just adding more curry to dishes. With the supplements that I couldn’t implement into cooking via food, I took via capsule form. At the next doctor’s visit, my cysts, even the coconut sized one, had disappeared! The sonographer and doctor were shocked. Actually the sonographer even asked when did I have surgery. Her mouth literally dropped when I told her that I didn’t have surgery but instead used natural remedies. The doctor gave me the go ahead to try and get pregnant again. I stopped all supplements except for the curry and cauliflower in my diet. The next month, I was pregnant. Seven months later, I gave birth to two very healthy twin boys! I still struggle with ovarian cysts and find myself in a great deal of pain on a regular basis. When I start feeling the bloating and pain, I start supplementing the curry and cauliflower back into my diet, as well as the castor oil compresses and flax seed. I haven’t supplemented in more than that because I am still breastfeeding. I believe the reduction of pain is a direct result from these natural remedies. Have you, or do you, struggle with ovarian cysts? Have you tried anything to help with them? Let us know if you have had success with any natural remedies or if you try any of these and find that they have helped. I would really love to hear from you! The more success stories we can share, the more women we can help. When I think of the amount of pain ovarian cysts cause me and the change in my quality of health with the help of these natural remedies, it is why I wanted to share this story in hopes that it helps at least one other woman. I have question do you use all of that at once or did you just try one and than narrowed it down to the ones that worked? I’ve had three surgeries for cysts and now me and my husband are trying for a baby and I’m afraid I’m going to get another cyst. What do you recommend that works the best? Have you had another cyst? Pregnant? I tried all at once from my list. After my pregnancy, I continued with several things off the list such as cauliflower, curry, oil/wool heated on my stomach and a few other things just in hopes of a cyst prevention. Thank you Anna! If it helps just one other woman even, then I’m happy! Hey Beth l have bilateral ovarian enlargement with numerous cysts and multiple uterine fibroids. Been struggling for years now and all the doctors can suggest is removing my womb, at the age of 45 l am still holding on to hope because l have no children yet. If these natural cure really works,l am happy to try them. I have an ovarian cyst and am trying to conceive with it yet I don’t can so pls what can I do? Hi Sarah, If you are trying to get pregnant, I’d consult with your doctor before using any remedies. All my suggestions are natural remedies and should be safe but I always recommend talking with your doctor to make sure. I was able to get rid of my ovarian cyst and get pregnant right after doing what I wrote about in this post. I wish you all the best!!!!! I really hope you are able to conceive and get rid of your cyst Sarah! 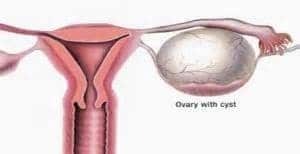 I have complex right ovarian cyst (3.7*3.3 cm).Can I use these remedies ? 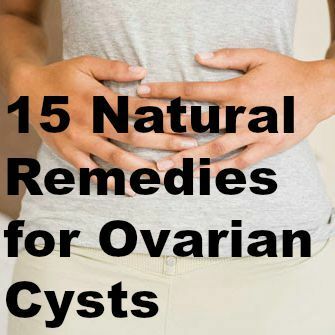 Hi Tasha, These are all natural remedies so should be safe for any ovarian cyst. I hope you find some relief! !